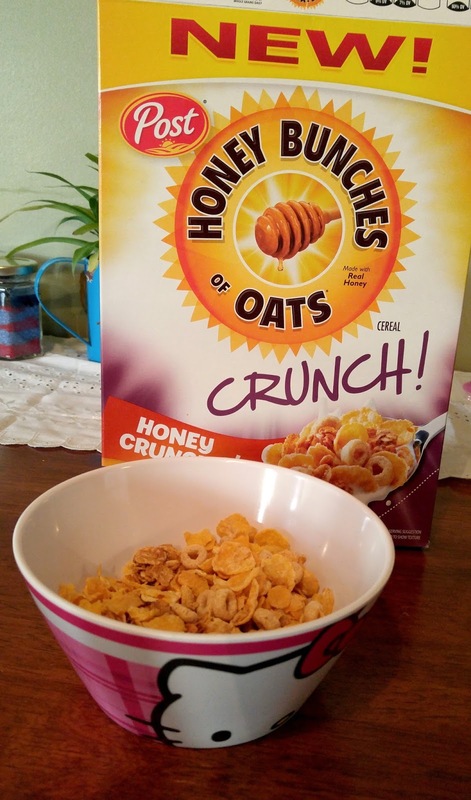 There is a new Honey Bunches of Oats varieties out– Honey Bunches of Oats Crunch O's! This new product is available in select Walmart stores across the country. Each spoonful of Honey Bunches of Oats Crunch O's delivers a tasty mix of crispy flakes, whole grain O’s and crunchy bunches. 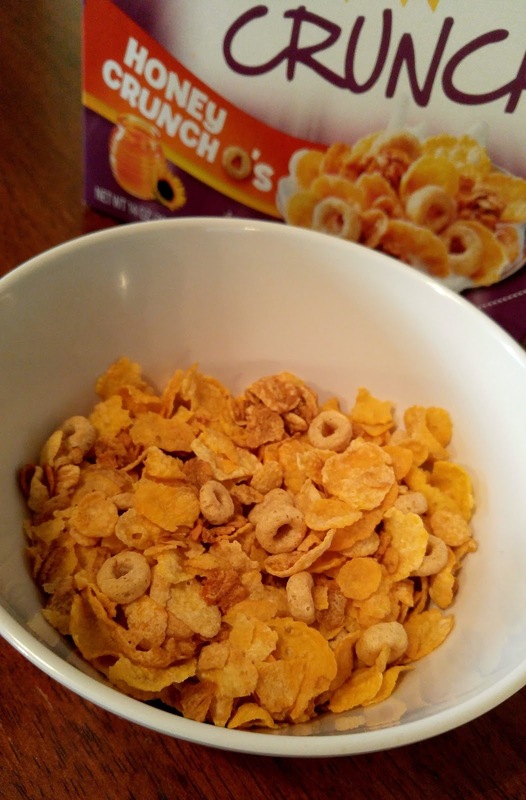 The addition of whole grain O’s to the traditional mix of Honey Bunches of Oats flakes and bunches adds more crunch and variety in every spoonful. Since day one, Honey Bunches of Oats has been dedicated to delicious, and this new variety continues in the tradition of providing big flavor with an even bigger crunch. New Honey Bunches of Oats Crunch O’s is available in two delicious varieties: Honey and Almond. The addition of whole grain o's to the traditional Honey Bunches of Oats flakes and bunches provides big flavor with an even bigger crunch. You have the same great taste and cereal you love with some extra goodness. Honey Bunches of Oats is my daughter's favorite cereal. Most ten year olds would say some sugary cereal it their favorite, but not my daughter. She loves all things Honey Bunches of Oats and has tried just about every variety out there. 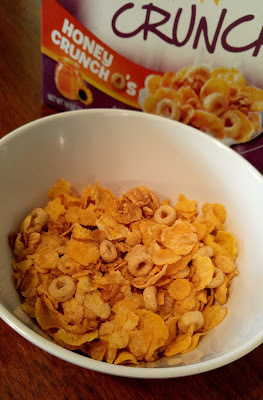 When we got a box of the Honey Bunches of Oats Crunch O's to try out, she immediately asked for it for breakfast the next day. The box did not last long in our house. It was a huge hit with its four grains and new crunchy o's coming together for more taste, more texture and a great breakfast experience! For more information on Honey Bunches of Oats, please visit www.honeybunchesofoats.com or connect on Facebook at www.facebook.com/honeybunchesofoats, on Instagram via @HBOats, and on Twitter by following @HBOats. • The sound of a meal is one of the most appealing ingredients of all. 61% of Americans crave crunchy food textures the most – far more than creamy (16%), chewy (14%) and flaky (9%) food textures. • Parents can kick start their children’s healthy eating habits with crunchy food. 85% of Americans, including 89% of parents, believe children are more likely to try a new food that is crunchy, compared to one that is not. • Most Americans prefer some crunch in their breakfast. 84% of Americans who eat breakfast in an average week prefer to eat a breakfast that contains crunchy foods. • Eating breakfast with a “crunch” fuels the body and helps people stay energized until lunch time. 80% of Americans who eat breakfast in an average week feel more satisfied after eating a breakfast that contains crunchy foods.